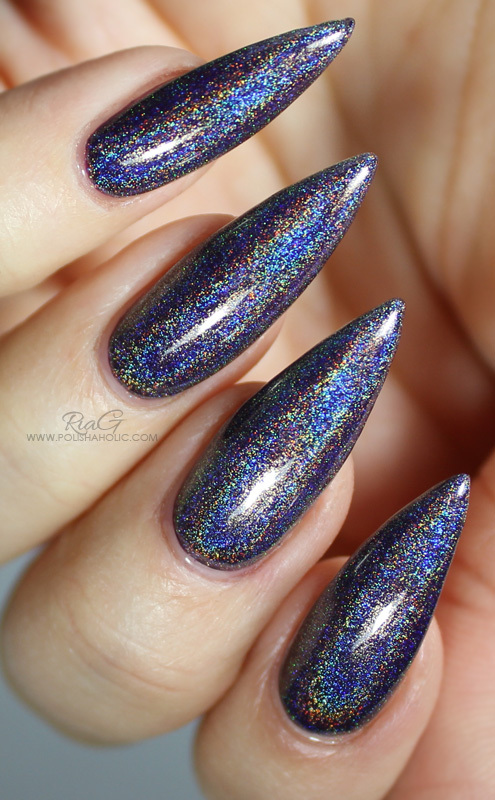 Glitzy Glam is a beautiful teal holo polish. 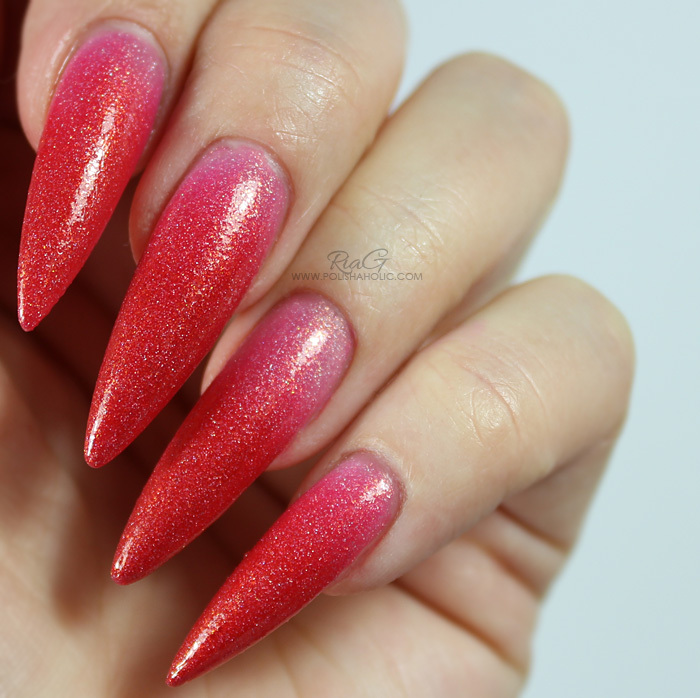 This color is very vivid and the subtle holo sparkle is just gorgeous. Unfortunately there was no sunlight when I wore this so daylight bulb photos is all I have for you today. 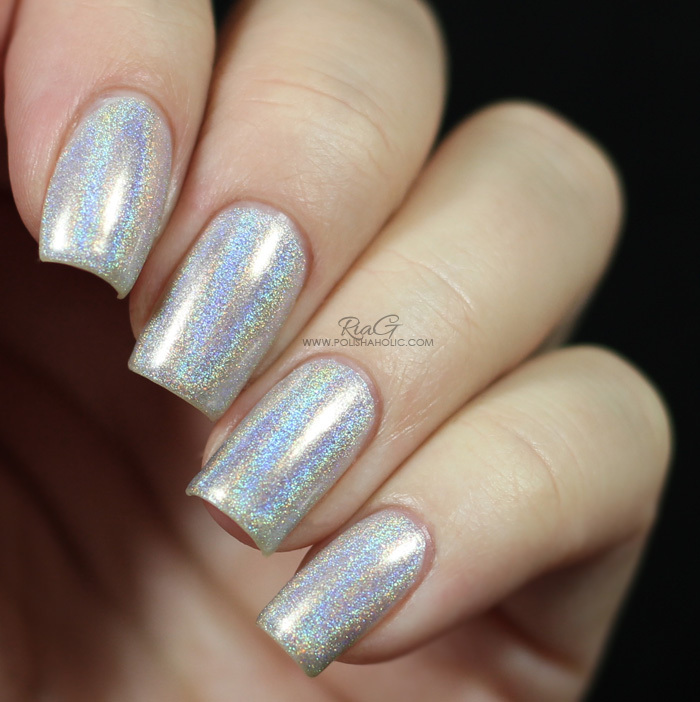 Today I have a gorgeous holographic top coat from an indie brand from Singapore, F.U.N. Lacquer Diamond. I recently received my first F.U.N. Lacquer order and this is my first post about their products. If this is a new to you brand I highly recommend you check out their store. 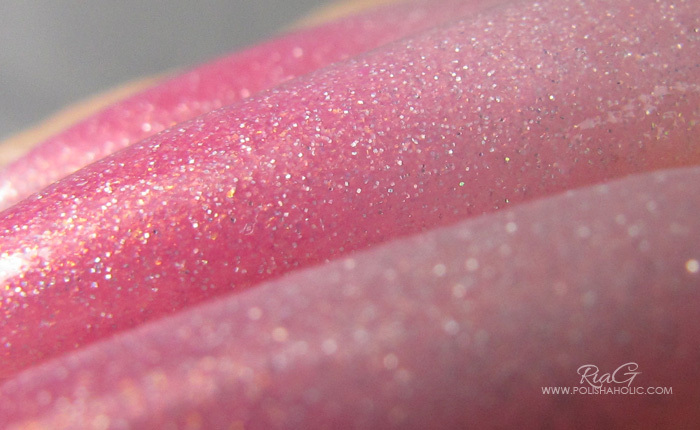 It’s filled with absolutely stunning polishes and some gorgeous thermals too. And now on to today’s polish which is Diamond top coat. 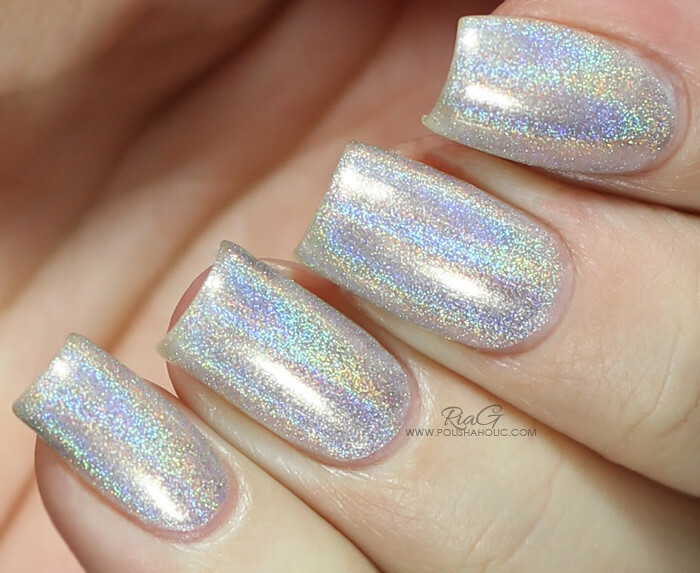 This is a SpectraFlair/Holographic top coat that you can layer over any color you want. 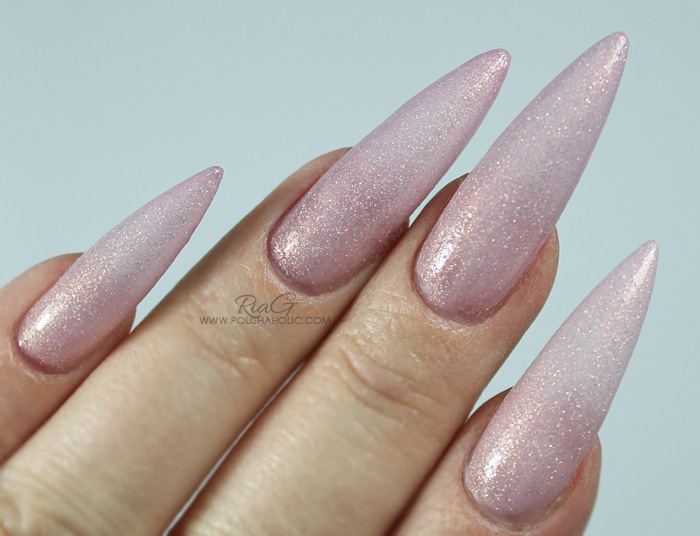 I think this will probably look the best over creme polishes but you can also wear it alone if you like to. I decided to layer it with my Wet n Wild Disturbia manicure. I only used one coat cos I wanted the base color to show through too. 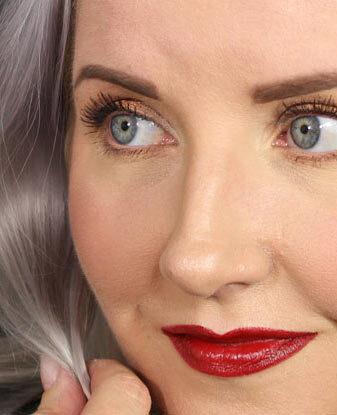 This applies thinly so you can apply more than one coat to get the result you want. For me the effect was strong enough with just one coat and I absolutely love this. I can’t wait to try this over some other colors like neon pink or orange! Formula was flawless and it applied smooth as butter. On the photos I have one coat of Diamond over Wet n Wild Disturbia topped with HK Girl top coat. ***Diamond was purchased by me. HK Girl was gifted to me. I don’t benefit from clicking any of the links on this post.